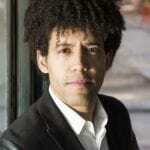 This week Rafael Payare makes his German debut conducting the Hamburger Symphoniker in a programme of Beethoven and Brahms. The concert comes at an exciting time for Rafael who has just been announced as Chief Conductor Designate of the Ulster Orchestra, a position he will take up in September 2014. 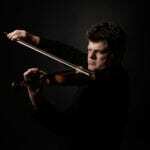 Rafael will be joined by the violinist Guy Braunstein, who is Principal Guest Artist with the Hamburger Symphoniker. As well as a busy solo career, this season also marks the beginning of Guy’s position as Principal Conductor of the Hulencourt Soloists Chamber Orchestra in Brussels. The cellist Alisa Weilerstein will complete the trio for this concert. Her eagerly awaited Dvořák disc with the Czech Philharmonic and Jiří Bělohlávek is released on the Decca Classics label in the US today and will be released in Europe later this year.